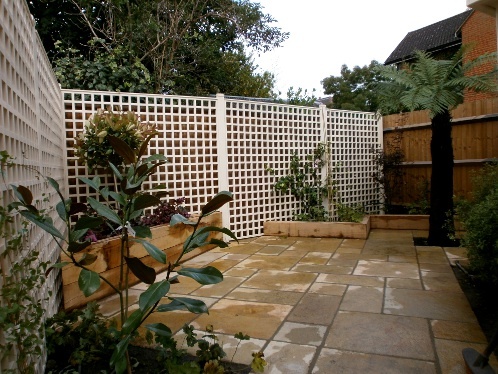 This very small garden design project, located in St Margarets Twickenham needed a complete redesign as it was wholly laid to lawn with no seating space. The new owners wanted something that was not too modern looking & space for 4 to sit. 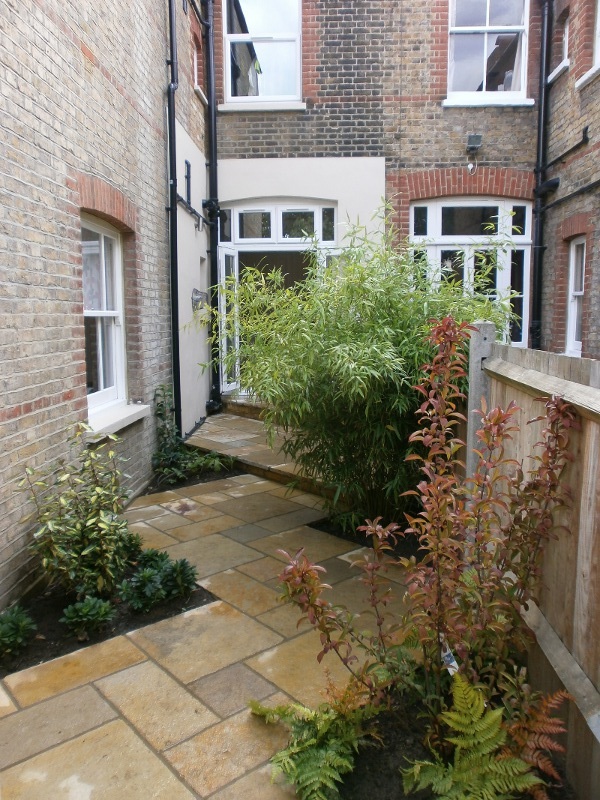 The side return also needed to fit into the design as it is one of the main walkways to access the garden. By turning the design by 45 degrees the garden felt much larger than it’s 4 x 5m and gave more space for seating whilst adding interest. Furniture from Fermob provides comfortable lounge style seating. 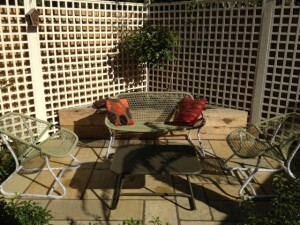 Care must be taken in the size of furniture in a small garden design. The way this set is constructed, not being solid objects of furniture helps in making the garden feel larger. Here a Dicksonia fibrosa (tree fern) was used to great effect as the focal point for the garden. It was positioned in the garden design so it can be also enjoyed from the kitchen. Side returns are often difficult places to design. Long narrow corridors sandwiched between buildings that receive little light. Here, in keeping with the 45 degree angle of the garden design the side return has been transformed into a landscaped & planted delight. Plants used here are for year round interest and suitability.